Today is the last day of my trip if all goes well. At least the last day until the end of the Bicentennial National Trail. 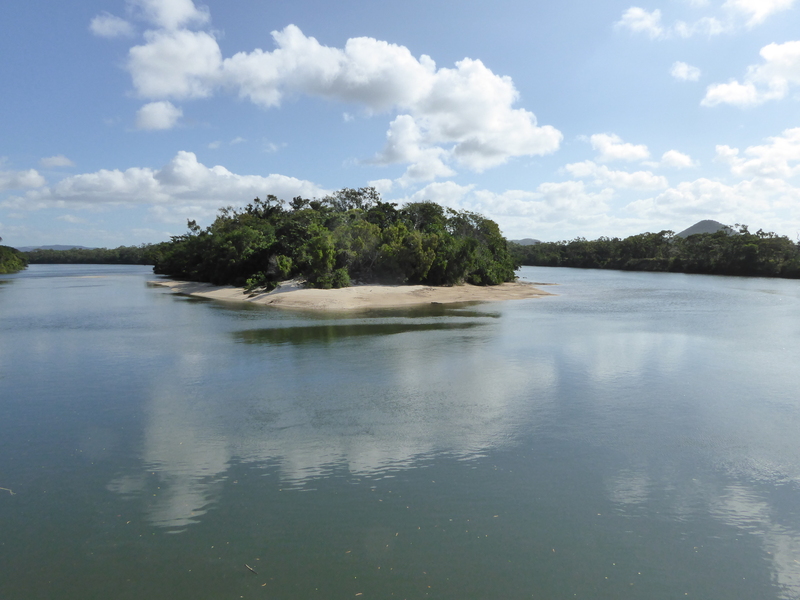 I still have to find a lift back to Cairns and I know I won’t be fully relaxed until I do so. I’m pretty sure by now that I don’t want to ride back what I just did. 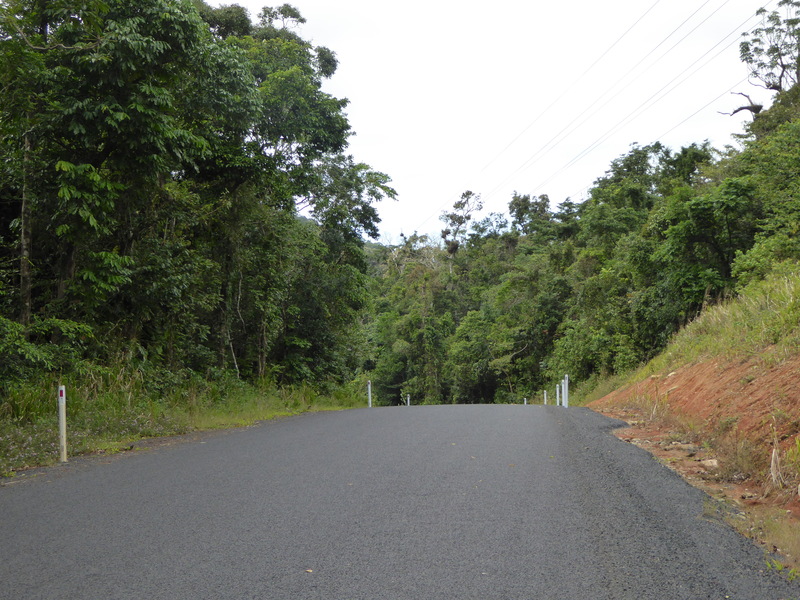 I could start riding and try to get a lift on the way, but really, I’d rather jump in a car from Cooktown and just not have to think anymore. 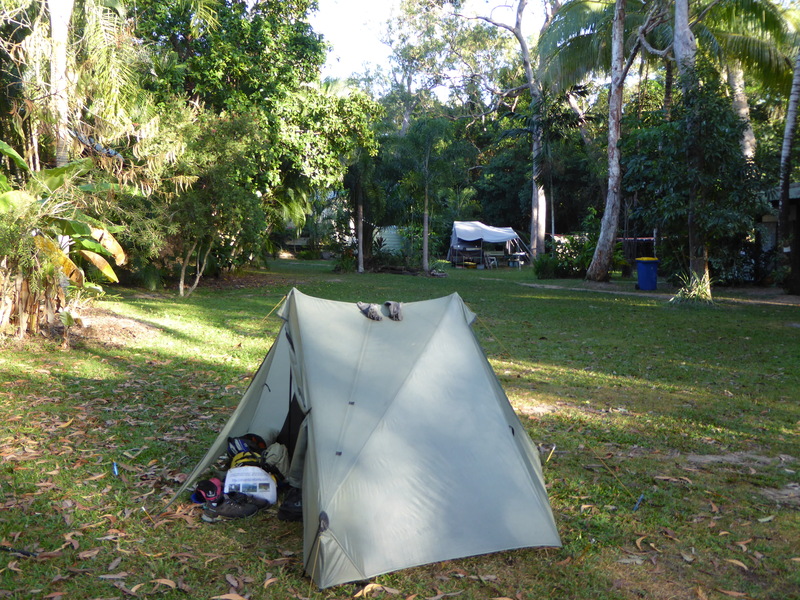 This caravan park is so pleasant, I would love to stay longer. I slowly make my way out, after chatting to a few people who start to understand that it’s my last day of my big journey. 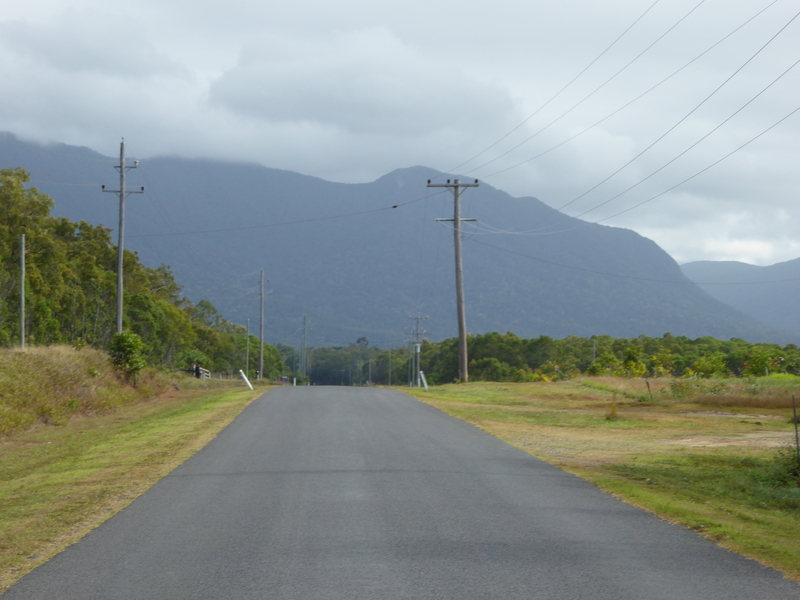 The road is now a good bitumen road. It wasn’t the case a few years ago. It goes up to 300m above sea level, so I’m climbing slowly. 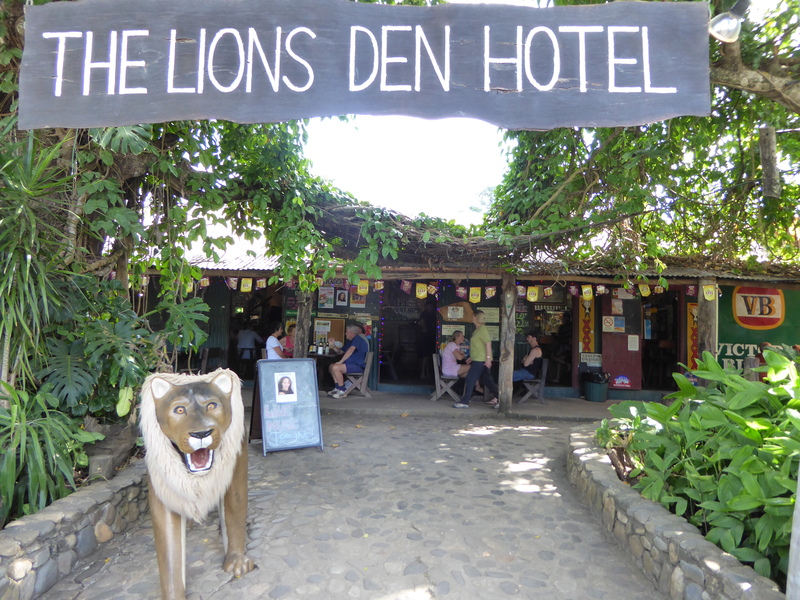 My next stop is the Lion Den hotel. 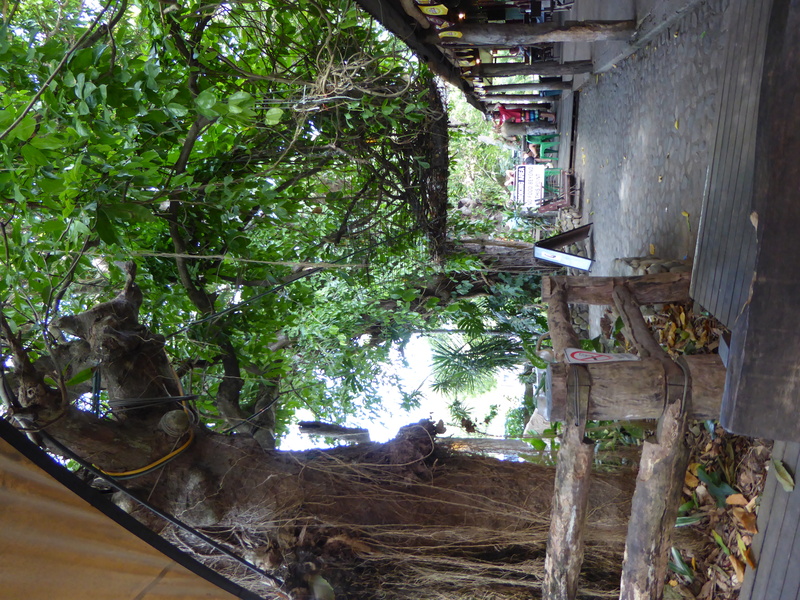 A very popular, iconic and historical pub that was built during the gold rush. 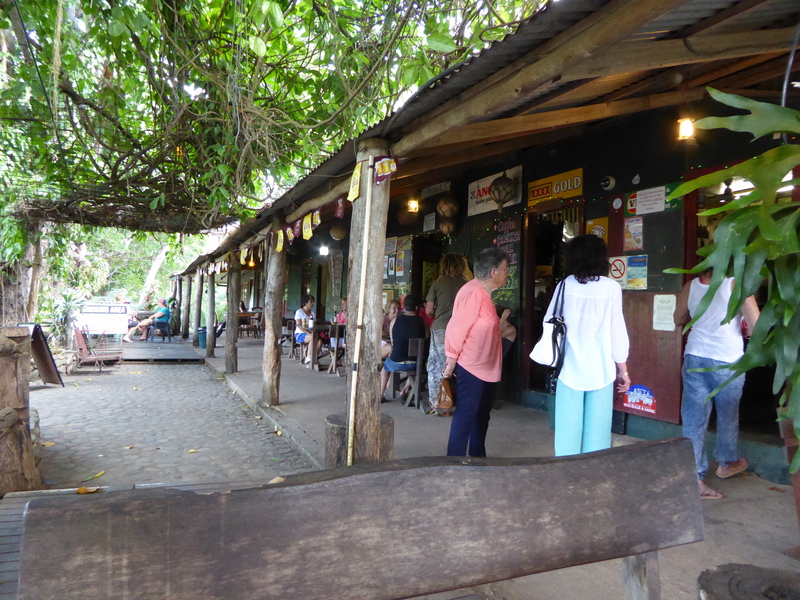 I arrive at the pub after 30km, it’s busy but nothing has changed since my last time here. I heard there was network coverage at the wharf or the boat ramp, so I keep going a bit further only to backtrack. I don’t know where that is. 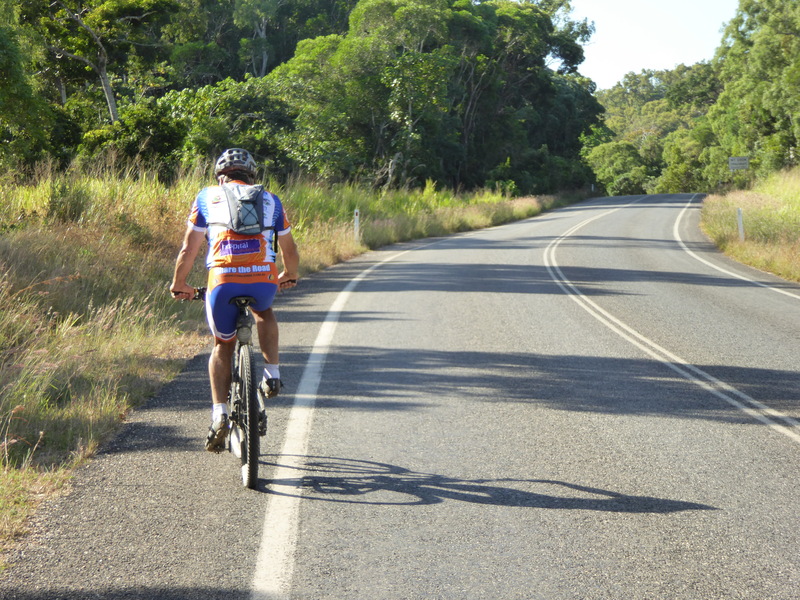 I just need to make a phone call to Ray from Cooktown who has offered to ride the last 30km with me and cross the finish line together. I come back to the pub and use the phone booth to send a text message to Ray, hoping he will receive it. I haven’t had mobile phone coverage for a couple of days so I’m not sure he knows when I’m coming. I get some lunch at the pub. Mind you not the best food. The last time I tried the pizza, it was shocking. The chicken Parma is just alright. 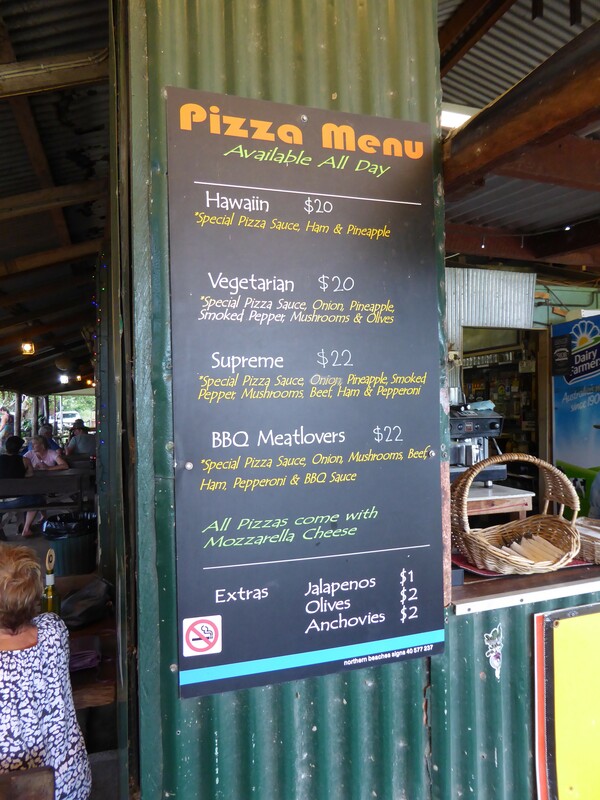 The pizza menu, wasn’t great last time. Who knows, they might have a new chef. 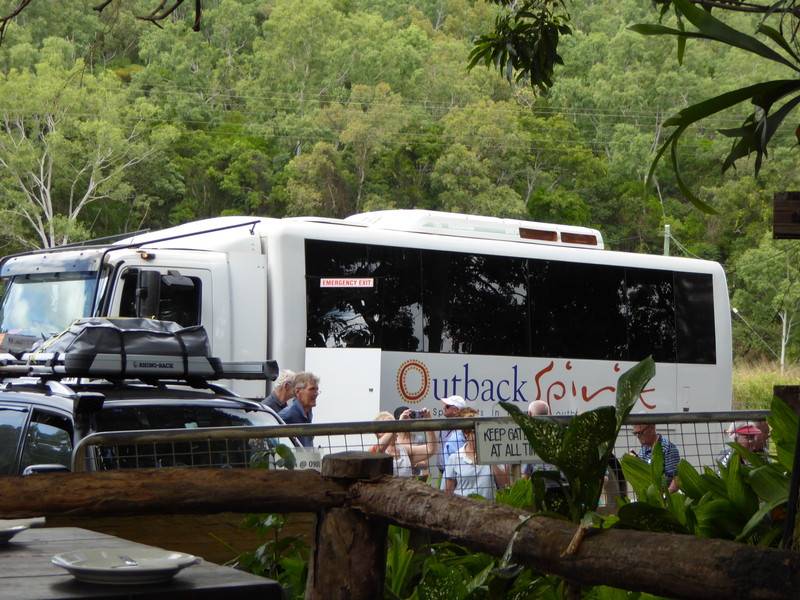 A group of tourists arrive with a big 4wd bus that has tinted windows. They look pretty grumpy at first, but as soon as they have some food on their plate, they start to relax and smile again. I observe and wait hoping I will get offered some left overs, but today I go without being noticed. During this lunch time, for a brief moment, I’m able to empty my mind and fully relax. I’m just open to the sensations and stop thinking. It’s a pleasant feeling, but soon I start thinking ahead again and planning. I eventually leave the pub and not far from it meet Ray. 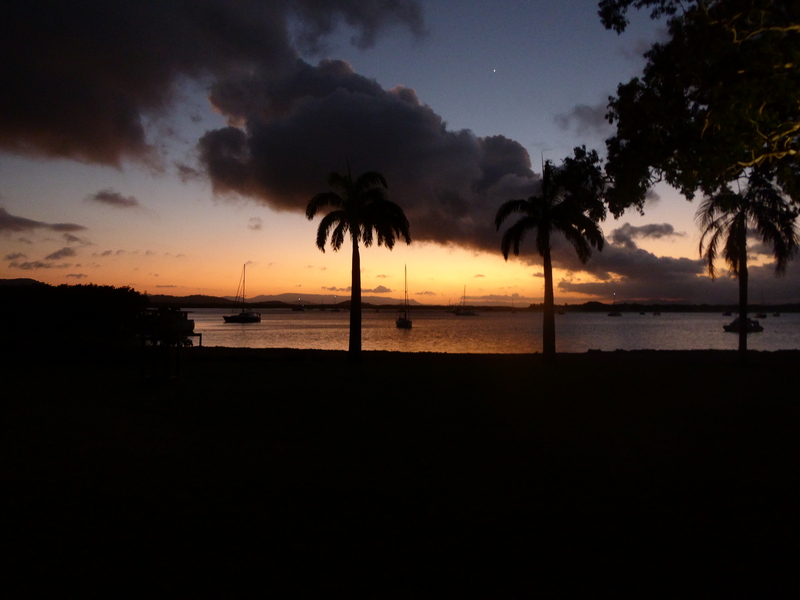 We have a chat and continue together to Cooktown. 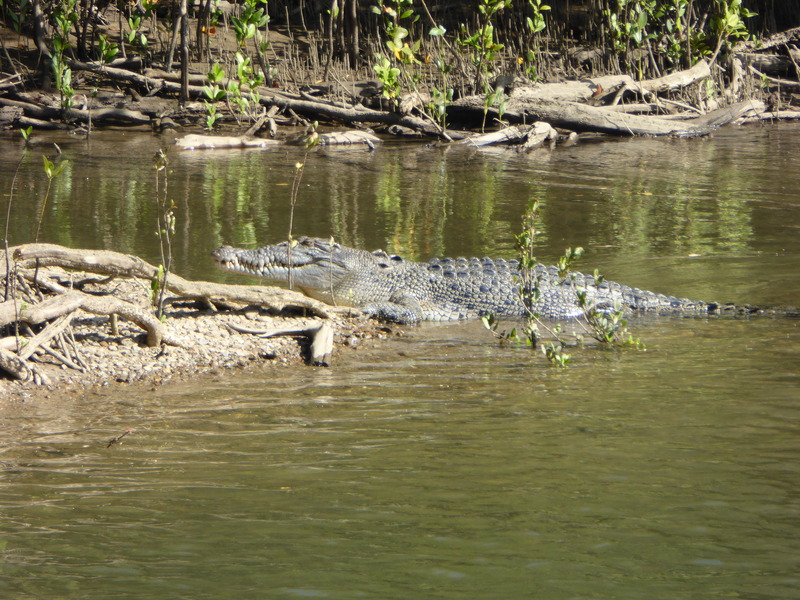 We stop by the Annan river to take a look at a crocodile that Ray has spotted. 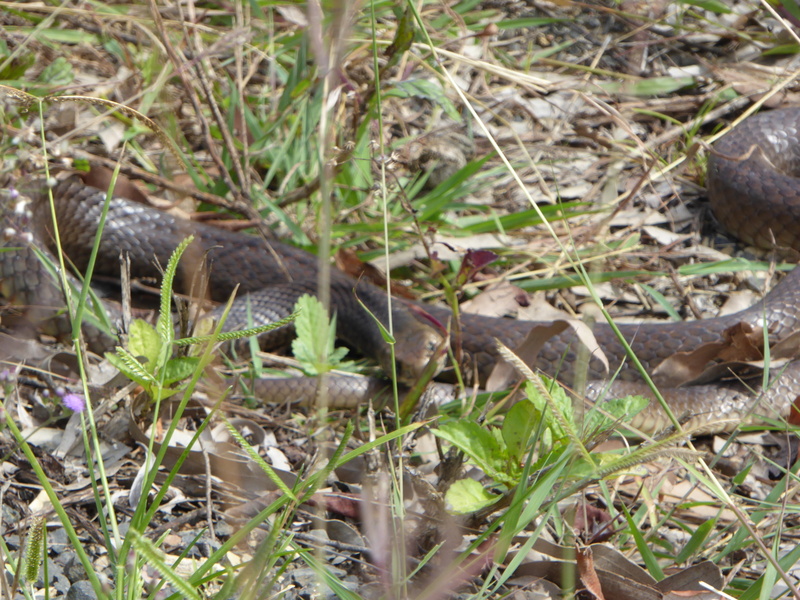 It’s about 2.5m long, a beautiful specimen. 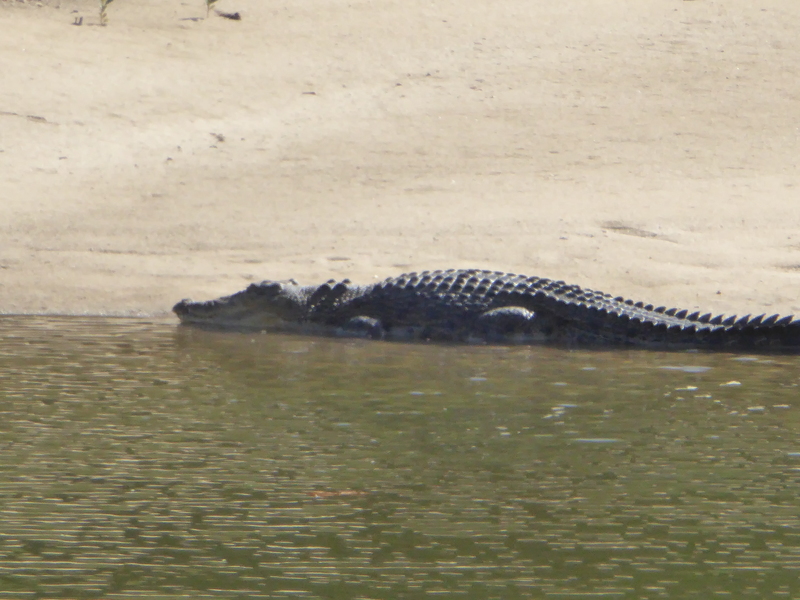 I’m glad I got the opportunity to see a crocodile on this trip after all. Even if it’s from the side of the road. 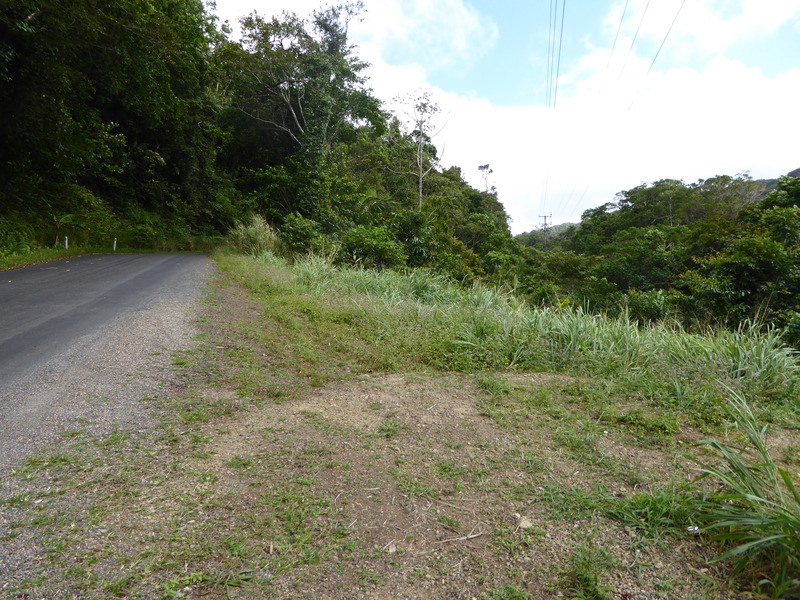 We head for another spot, side tracking 200m from the main road. 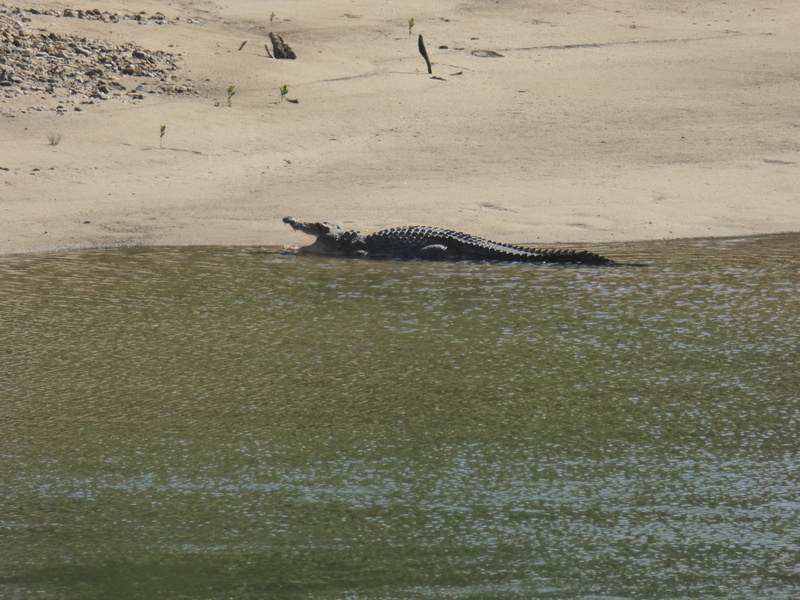 There is another crocodile there on the other side of the river bed. It is a little smaller but still dangerous. Someone had deposited some cow guts to attract them on our side, down the cliff. As we look down, I see a big fish. Actually it’s a bulk shark, and there’s two of them. 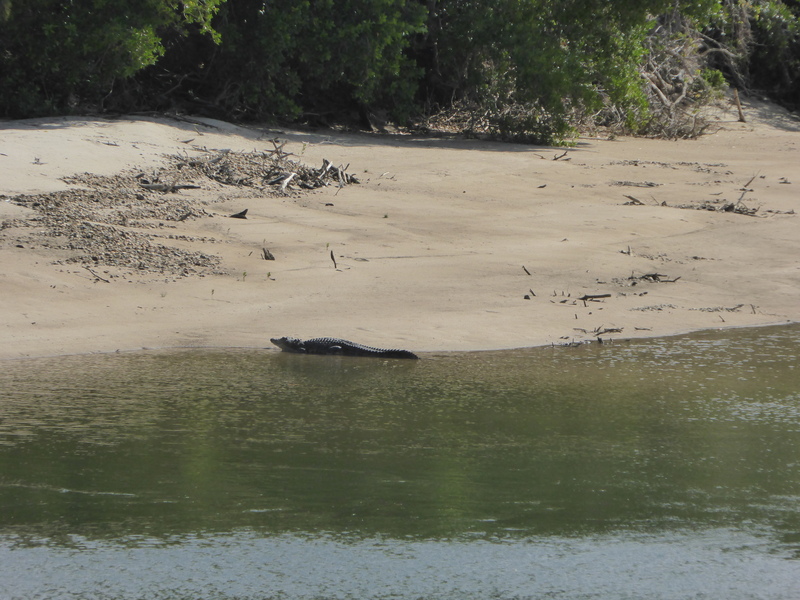 This is quite astonishing to see a crocodile and bull sharks in the same spot. They must have been attracted by the bait left rotting near the river bed. 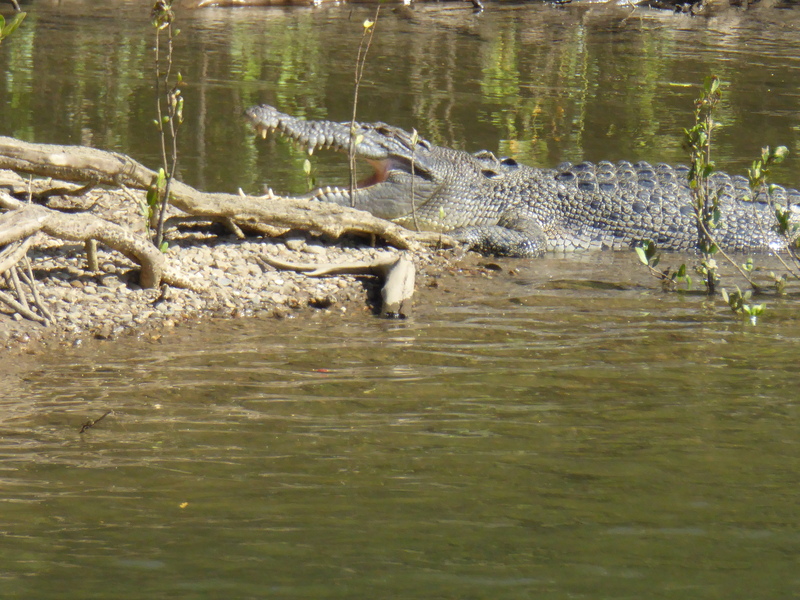 Better not fall in though cos I’m not sure which one would come at you first: the shark or the crocodile. As we continue along, I realise we only have 5km to go. 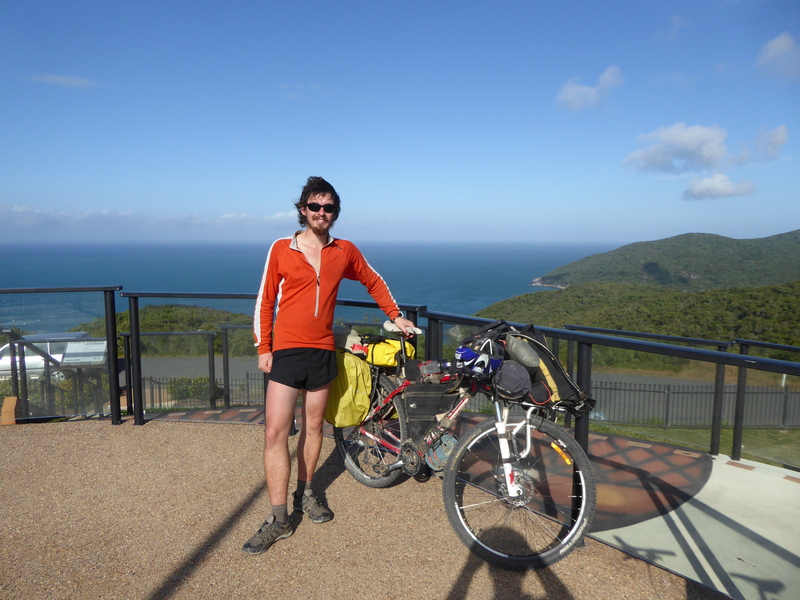 We make it to Cooktown and climb up the Grassy Hill which I consider to be the finish line. Although there is no sign saying so. It’s a steep climb and this time I’m not walking it, taking a few breaks, but mostly going for it, giving what I have left. At the top we take pictures and now it’s time for a beer. As expected today is not that exceptional. I think it will take some time to take it all in and reflect back on the adventure. Thanks for reading feel free to post some comments and share with your friends. Tremendous effort Vincent. Well done on such a massive achievement. 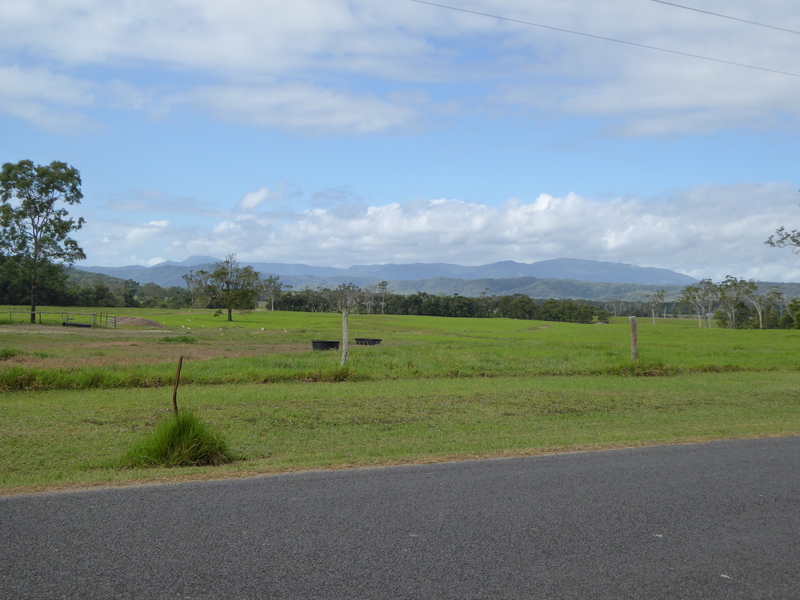 Your blog is very well written and does a really good job of showing some insights into the real Australia – that is the Australia outside of cities. Safe travels back to Cairns and your well earned holiday back in France. Hope you have gotten a lift back down to cairns. Have a fantastic trip / rest in France. Was a pleasure to have met you and followed your progress these last couple of months. Feel free to pop in anytime you pass this way. We are only 10 Kim’s of the Bruce highway. Well done Vincent. You rode well a great ride and did a great write up for us! Vincent, well done mate. Fab to be capable, and committed enough in completing such a monster adventure. Your life will be enriched by all the experiences. And inside your head for the rest of your days, at times, these will reappear to you again and again reminding you that life is wonderful. I hope you manage to find some future equilibrium and also, to continue adventuring. Best wishes and thanks for a great read. Thank you so much Peter for such kind message. 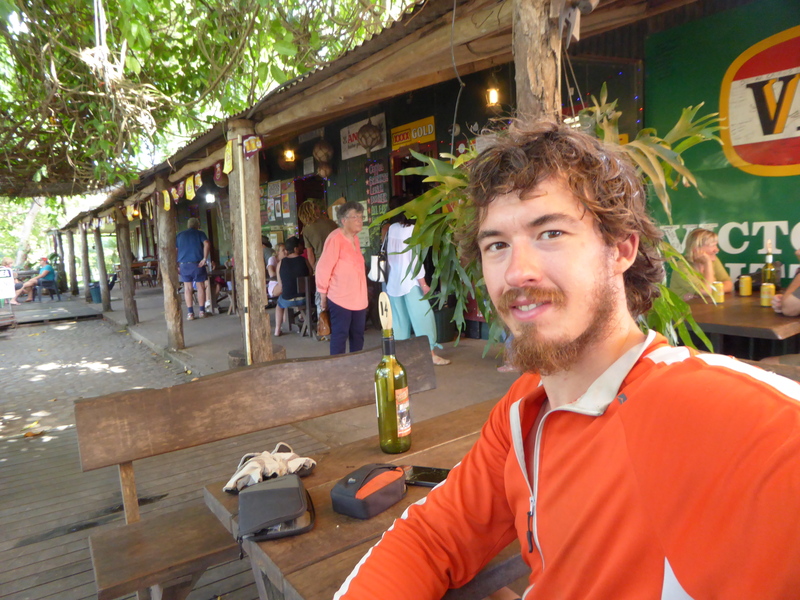 Thanks for taking the time to read this blog, from the other side of the planet! Means a lot. I hope you had a good time reading it. yes mate, i thoroughly enjoyed the read. The BNT is something I seriously thought of some years ago, but I never worked up the courage to do it. 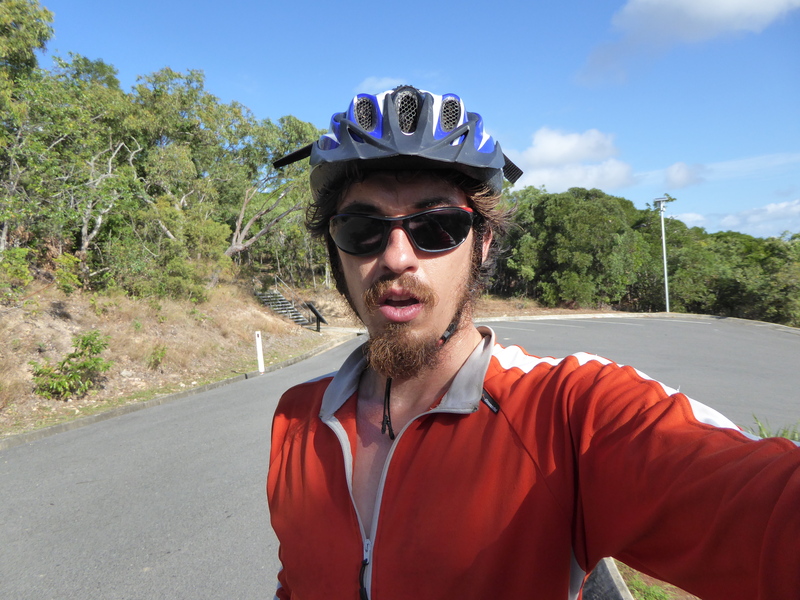 I tried the Munda Biddi track in 2015 and it killed me. I didn’t complete it at all, which really upset me no end. 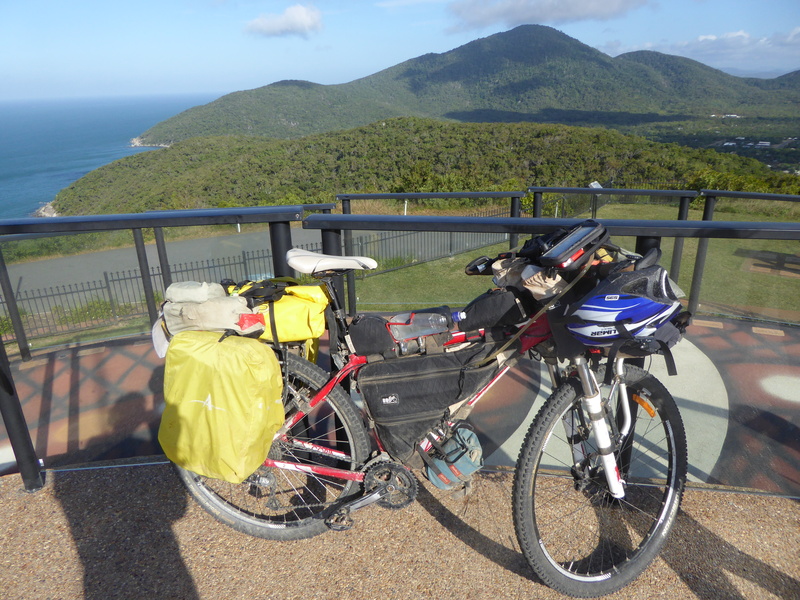 So rather than frustrate myself again trying to bicycle, and admitting maybe I’m just too old for a huge cycle trip, in January this year, I picked up a little Honda CB 125 and did an anti-clockwise loop from Perth, of Australia, covering 20,000 k’s over a 4 month period. So you see, your achievement is pretty special. Stay young and happy man, keep adventuring and best wishes to you for the future. Outstanding write up of a monumental adventure. A very enjoyable read, thanks for taking the time to put it all together.